RootsTech 2019 is almost here! If you’re getting ready for the world’s largest family history conference, you’ve come to the right place. Be sure to plan time on your daily schedule to visit the Expo Hall. In the Expo Hall, you’ll see exhibitors from all over the world with unique family history products and services. It’s the perfect place to network, see what’s new in the industry, take advantage of exclusive deals, and so much more! RootsTech wouldn’t be possible without the help and participation of our many sponsors. Be sure to stop by their booths and see what they have to offer. Below you’ll find a summary of each of these sponsors and what you can expect to see from them at RootsTech 2019! Ancestry, the global leader in family history and consumer genomics, brings together science and self-discovery to help everyone everywhere discover the story of what led to them. Their sophisticated engineering and technology harnesses family history and consumer genomics, combining over 10 billion historical records, 100 million family trees, and more than 10 million people in their DNA network to provide people with deeply meaningful insights about who they are and where they come from. Every year Ancestry brings you the best experience possible. This year is going to be better than ever! They’ve been listening to your feedback and are here to help you overcome your roadblocks and open new doors of discovery with expert classes, new feature demos, one-on-one assistance, and exciting guest speakers. Stop by to see what’s new and say hi to Crista Cowan, Jenn Utley and their new CEO, Margo Georgiadis. Follow Ancestry® on Instagram, Twitter, and Facebook. This year at RootsTech, Findmypast and Living DNA are joining forces to showcase what two leading companies in the field of family history can do together. Findmypast are number one for British and Irish genealogy and Living DNA are world leaders in precision DNA testing for family history. This powerful marriage of traditional research and cutting edge DNA technology brings you a combined family history experience like no other. You’ll get a sneak preview of what’s coming up at Findmypast and Living DNA during various talks and lectures throughout RootsTech. The Findmypast & Living DNA Town Hall in room 255 on Wednesday at 1.30pm will be a must for anyone with British and Irish roots. MyHeritage is the leading global service for family history and DNA testing, with 100 million registered users worldwide. 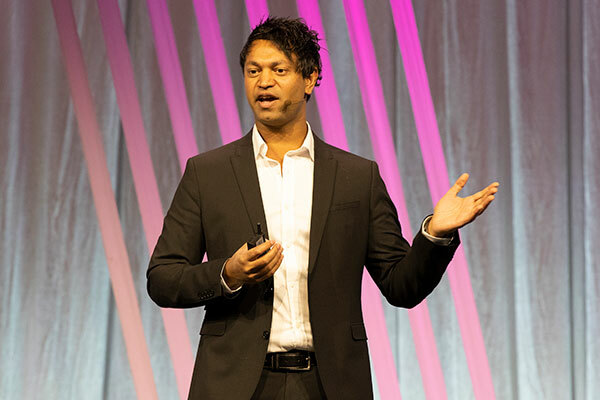 As technology thought leaders, MyHeritage has transformed family history into an activity that is accessible and instantly rewarding. Their global user community enjoys access to a massive library of historical records, the most internationally diverse collection of family trees, and groundbreaking search and matching technologies. Launched in 2016, MyHeritage DNA is a technologically advanced, affordable DNA test that reveals ethnic origins and previously unknown relatives. Trusted by millions of families, MyHeritage provides an easy way to find new family members, discover ethnic origins, and to treasure family stories, past and present, for generations to come. MyHeritage is available in 42 languages. Their highly experienced team of senior support representatives will be available to answer your questions and help you hone your MyHeritage skills at the main MyHeritage booth at RootsTech. They will be selling DNA kits at a special conference price and all MyHeritage subscriptions will be on sale for 50 percent off. They are also excited to be hosting demos with MyHeritage experts and guest presenters every 30 minutes at their in-booth demo theater. Demo topics include DNA testing and tools for analysis, useful MyHeritage features explained, research tips, historical record collections, and much more. Presenters include guest bloggers, world-renowned genealogists, and senior MyHeritage staff, many of whom are directly involved in developing MyHeritage technologies. Make sure you don’t miss out on the chance to win DNA kits, subscriptions, Amazon Echos, and much more at our daily raffle at the main MyHeritage booth. Tickets are free. Lastly, look out for the MyHeritage pop-up booth on the way to the societies where you can play a game and win a prize. You’ll also want to get involved in our vintage-themed family day activity on Saturday. For updates about what we’re up to at RootsTech 2019, check our social channels on Facebook, Twitter, Blog, and YouTube. 23andMe is the leading personal genetics and research company building the largest people-powered platform for health, ancestry, and drug discovery. We are guided by our mission to help people access, understand, and benefit from the human genome. 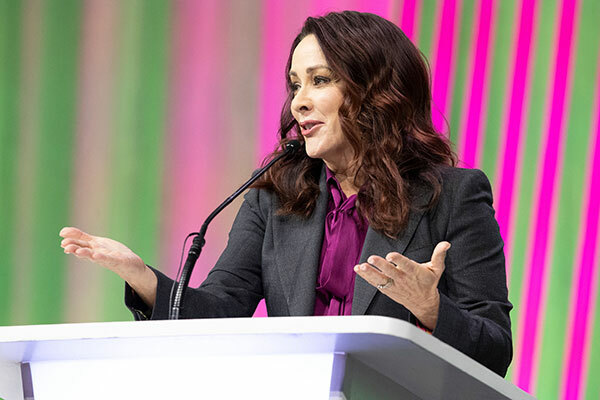 Over their four days at RootsTech, 23andMe will host sessions showcasing the breadth of their health and ancestry product offerings. They will host sessions that will highlight the comprehensive improvements and new features added to their product over the last twelve months, including diversifying their reference populations, improving granularity for customers’ ancestry results, and folding in incredibly rich new content for customers to explore. During other sessions, they will explain 23andMe's expanded number and variety of health reports that now include information on such things as sleep movement, genetic weight, caffeine consumption, and more. They will also discuss new reports that inform customers of their genetic risks for specific diseases and health conditions. 23andMe scientists will also be on hand for a session explaining their education efforts around breast cancer and our “Speak BRCA” campaign, a session on how the company protects customers’ data privacy, and another on the science behind our reports, as well as a session on the important genetic health research they do day-in and day-out. Follow 23andMe on Instagram, Facebook, Twitter, and their blog.